This great work of St Gregory Palamas is an exposition of a spiritual tradition that has been practised, tried and tested for over 1600 years. Palamas describes the difference between worldly and spiritual knowledge, the nature of illumination and how the action of the divine may be encountered within us. 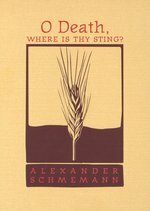 It was written almost 700 years ago in support of the practice of hesychasm - the path of inner stillness, which originated in the fourth century - a practice that perhaps has greater relevance today than ever before. In an age when the West prefers to look East in search of a spiritual tradition, to the practices of yoga, zen or Sufism, it is a surprise to discover that there is an authentic and unbroken Western tradition, stretching back nearly two millennia, that has continually offered the 'living water' of a way followed by numerous saints. Although hesychasm was developed by hermits and monks, aspects of it can equally be practised by those of us living in the world today. This is made clear in the Commentary by Robin Amis, who puts hesychasm into a modern context and shows how we can all benefit from this ancient tradition that leads to 'the stillness that knows God'. The Palamas text was originally published in 2002 as 'The Triads: Book One'. This edition is a substantially revised translation of the original text and features an additional Commentary by the author Robin Amis. The Eastern Tradition . "..has never made a sharp distinction between mysticism and theology; between personal experience of the divine mysteries and the dogma affirmed by the Church." The term "mystical theology" denotes that which is accessible yet inaccessible; those things understood yet surpassing all knowledge. How has the Orthodox liturgy come to have the shape it has? How different is it from the eucharistic rites of the Western churches? 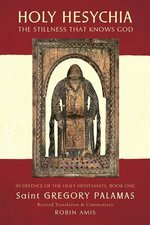 Hugh Wybrew's authoritative but splendidly readable book traces the development of the Orthodox liturgy from the Last Supper to the present day. These collected lectures were written during Protopresbyter Thomas Hopko's decade as dean of St Vladimir's Seminary from 1992 to 2002, and all deal with what it means for Orthodox Christians to speak and to act in a loving manner in societal and ecclesiastical settings, particularly in twentieth-century North America. Especially relevant are his remarks regarding education and spiritual formation in Orthodox theological schools: his historical background regarding the formation of Orthodox seminaries in the United States is enlightening. In an effort to dispel misconceptions, he also presents readers with an insightful view of Orthodox participation in ecumenical activities. Additionally, he comments on the relationship between clergy and laity and makes some pertinent observations about the challenges to the Church in post-modern and post-communist societies. The thread holding these essays together is St Paul's admonition to speak the truth in love and to grow up in every way into him who is the head, into Christ (Eph 4.15).